I believe every patient -- regardless of age, gender, race or geography -- has the right to high-quality, safe surgical care. I use my training in surgery, architecture and health services research to fundamentally redesign how we deliver healthcare. Although the scope of my work primarily focuses on traditional healthcare infrastructure investments (hospitals, clinics, emergency rooms), my experience has taught me that everything we build and design -- schools, stadiums, airports, skyscrapers—have enormous potential to improve population health and wellness. As such, I deliberately collaborate across a breadth of academic and private sectors. Ibrahim AM, Hughes T, Thumma J, Dimick JB. “Association of Hospital Critical Access Status with Surgical Outcomes and Expenditures Among Medicare Beneficiaries.” JAMA. 2016;315(19):2095-2103. doi:10.1001/jama.2016.5618. 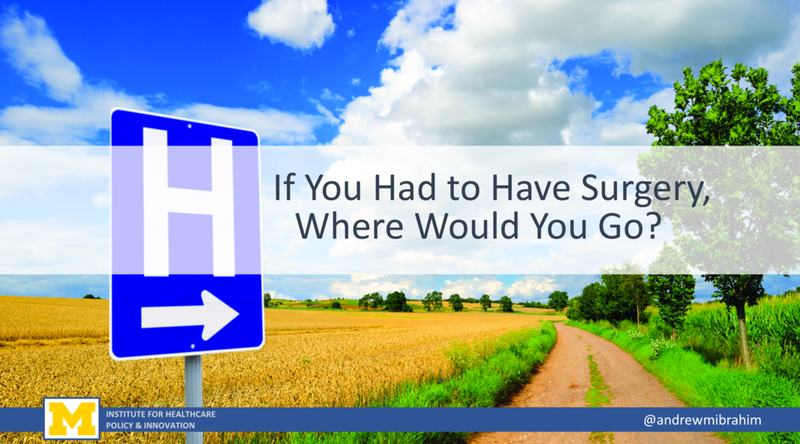 If you had to have surgery, where would you go? Ibrahim AM. Dimick JD. “Writing for Impact: How to Prepare a Journal Article” (2017). Download Full PDF Here. 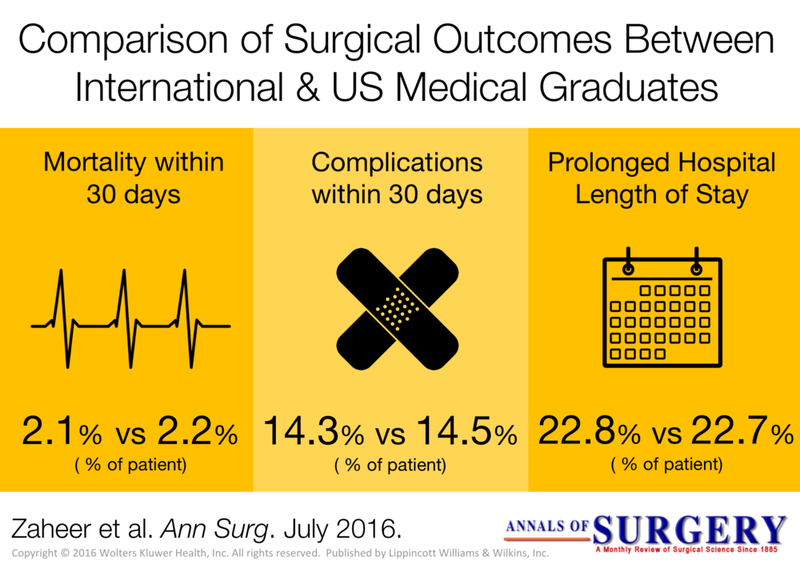 As the Creative Director at Annals of Surgery, I have been working on better means to disseminate research. 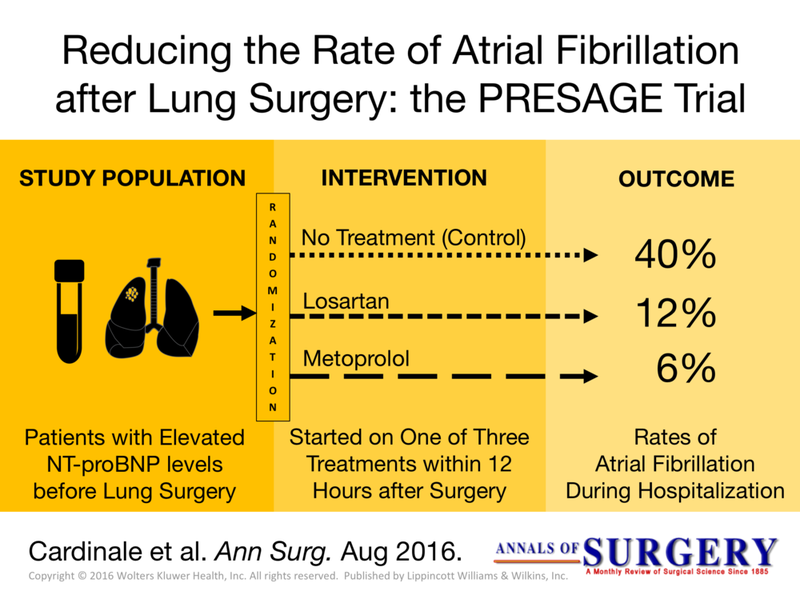 One approach is to visually summarize key points from the article in a "visual abstract." Some examples can be seen below as well as on Twitter by following the hashtag #VisualAbstract . To date, more than 75 journals and institutions have adopted the visual abstract in their dissemination strategy including the CDC, BMJ, JAMA and NEJM. You can download a free PDF primer here on how to create a visual abstract. 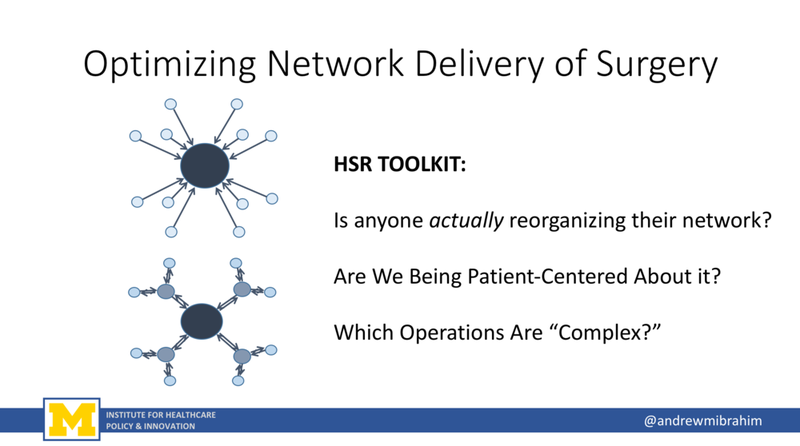 Below is an abbreviated slide deck from a recent presentation on Network Strategies to Improve Surgical Care Delivery. The talk is motivated by the underlying evidence that some hospitals perform better than others for different procedures, and that those differences can be leveraged within a network of multiple hospitals to improve overall quality. Can Architects Build for Health? This abbreviated slide deck pulls from two recent national talk for the American Institute of Architects on how architects can "build for health." It outlines the shift in healthcare payment policies from "volume to value." It then uses those policy changes as a platform to identify opportunitues to influence health from the scale of a single operating room up to an entire community. Dr. Ibrahim currently serves on the Design & Health Leadership Group at the American Institute Architects. In this national appointment, he leads efforts to merge health and architecture expertise to improve population health through a fundamental redesign of how we understand the interface of health and design. His research evaluating population level strategies to improve health care delivery has resulted in numerous peer-­review publications, book chapters, international presentations and appointment to the editorial board at the Annals of Surgery. He also serves as a technical advisor to The Leapfrog Group. HOK is a global design, architecture, engineering and planning firm with over 1,700 people working in 23 cities across three continents. Current and recent projects include the LaGuardia Airport (New York, USA), Barclay World Headquarters (London, UK), Mercedes-Benz Stadium (Atlanta, USA) and Ng Teng Fong General Hospital (Jurong, Singapore).